False job offers and other scams affect translators and interpreters just as they do in other industries, and in many cases, these scams target language professionals in particular. 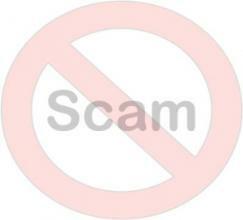 On ProZ.com, users have had the option to report potential scams via the online support system. In early 2011, in response to an increase in these reports and the obvious need to bring them to a wider audience, the Scams forum was created, as was a ProZ.com wiki article, Detecting and reacting to false job offers and other scams. While to many it may be clear when they have a potential scam on their hands, experience has shown that still many language professionals would benefit from clearer, more organized information which helps them to decide whether they are in the presence of a scam, or if they should simply proceed with the caution and risk management that is called for when contacted by a new potential client. The added security provided by this kind of service is invaluable to many, given that falling victim to a scam not only implies a loss of time, work, and money, but can also bring with it legal implications which leave the victim in a position from which it can be difficult to recover. The Translator scam alert center is an area used to provide organized, concise information regarding false job offers and other scams which may be aimed at or are affecting language professionals. Information provided in the center is based in part on reports made by ProZ.com members through the online support system and in the Scams forum. Scams are categorized by type and the outstanding characteristics of each are outlined, to make detection easier. General information on detecting and reacting to a potential scam is also included. ProZ.com members have the option of subscribing by email to the Scam alert center, to receive useful news and alerts of new scams as they are detected.